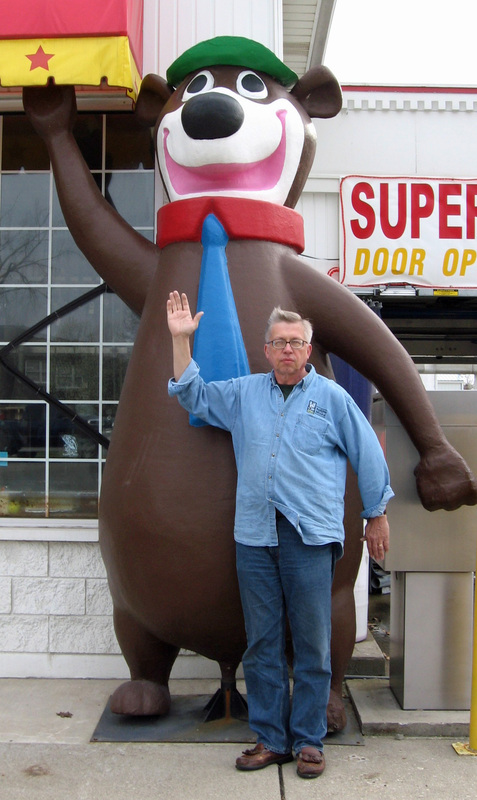 Car Wash Bear – The Home of My "Big Things"
I don’t know what it is with the car washes in Southwestern Indiana. Maybe they are competing but there are a plethora of Big Things around car washes. Yogi here waves to all the passing motorists enticing them to come on in and leave with a clean car.